Do Real Psychic Mediums Have Useful Afterlife Secrets For You? Have Useful Afterlife Secrets For You? What is a Real Psychic Medium? Messages from the afterlife are all around us and are picked up by a real psychic medium just like invisible TV broadcasts are only seen when received through our TV tuner.  Here are my answers to some general questions on mediumship that have been asked over time. To keep it simple let’s compare psychics to jigsaw puzzles. Just suppose a regular psychic is like a 1000-piece puzzle. The psychic possessing 2-3 of the clairs, i.e. clairvoyance (clear seeing), clairaudience (clear hearing), clairsentience (clear feeling) may be compared to a 3,000-piece puzzle. But, the intricacies of an authentic psychic medium can be equated to a 5,000-piece puzzle. This comparison is to illustrate the various difficulty levels of psychics. To qualify as a medium, we must develop the psychic abilities of ‘seeing’ and ‘talking’ to dead people or be born with it. In a natural born medium this extrasensory perception usually manifests by age 3-4 and the little medium will most likely be admonished over and over to "quit making this stuff up!". Take Note: When a child is born into mediumship, well-meaning adults cannot condition it out of her/him, in the manner they manage to condition vivid imagination from ‘normal’ children. Adult mediums are destined to bear gigantic responsibilities and when they speak, people will hang onto their words. The real psychic medium becomes a luminous bridge between two worlds - our 3rd-dimensional material world and the spirit world of disincarnate souls who have crossed over to the other side. Let’s agree that an innate love for humankind and super strength of will earn the medium all the corner pieces, which make up the foundation of the jigsaw puzzle. Mediums do not rely on metaphysical tools, such as Tarot cards, tea leaves, etc. They can instantly tap into spiritual energy encircling you to gather information from the pertinent spirit. What is channeling a spirit? Channeling involves ‘inviting’ spirit beings to use the medium’s body and speak with his/her voice. Some deep trance mediums goe into a state of total unconsciousness so their physical bodies becomes ideal receptacles for the spirit entities. Most psychic mediums will go into a light trance at will, then snap back to awakening consciousness to interpret your past, present and future. This light trance is not to be confused with trance mediumship where the medium goes into the deep trance, becoming oblivious to the ‘sitters’ and the spirit(s) he is channeling. (when a group of people gather for a séance, they are called sitters). Much of the old Hocus-Pocus that went on in Victorian Séances has been dropped by today’s mediums. Although some circles still try to perpetuate all the bells and whistles that formed the séance paraphernalia of yesteryear, today's real life channeling medium is much more down to earth and straight forward. Is there anybody there? That’s the catch phrase associated with spiritual mediums. The answer to the question is YES. Spiritual mediums can see, feel, smell or hear if anybody (I should say anyUNbody) is there – and ready to communicate from the afterlife. These ‘senses’ are used by psychics to ‘receive’ information from those who have passed over. Sometimes just the simple acknowledgement, from a spiritual medium, that our loved ones still exist on some level is enough to bring peace of mind, that death is not the final event many fear it is. In the past, spirit mediums were to be found in the many Spiritualist Churches around the world. Visiting a Spiritualist Church is still a great first step. So search the local directory for your town to locate a Spiritualist Church near you. In the church setting PLATFORM readings will generally be performed where a spiritualist medium will stand in front of the group and talk about, and for, the various spirits they ‘see’ amongst and around the people in the audience. Are the psychic TV shows real? Television has popularized and demystified much about psychics and mediums with TV shows featuring famous psychics like John Edward, and James Van Praagh . As well as Real Psychic Mediums on TV we also have prime time TV psychic dramas with shows like CBS’s The Ghost Whisperer, NBC’s Medium, TLC's Long Island Medium, and ITV’s Afterlife These shows portray a more realistic image of psychics than the old fashioned concepts of spooky table wrapping séances of the past. But these TV dramas do throw in an extra dollop of spooky-dooky, hairy-scary mumbo jumbo to make the shows popular. Having a reading with a real psychic medium in person is much less airy fairy. When you are talking with a psychic remember that communication through dimensions of the afterlife can be hard enough without making things tougher with aggression or scepticism. Let’s face it if you’re a sceptic why waste your time in avenues outside of your belief system? Spend your time in an area that is of interest to you. You will have all the proof you need when you reach the other side! How should I approach a psychic medium reading? Being open and supportive with your psychic will allow for much better readings than being closed and difficult. You won’t have to tell the psychic everything, but acknowledging the things that are correct allows that channel to become clearer and stronger for your benefit. Be aware that just as a cell phone can go out of range so to can the messages from spirit. Sometimes patience is called for while the psychic is aligning with different spirits on different wavelengths. Spooky Connections at a Distance! Here’s an interesting coincidence to my opening analogy to TV waves and psychics. Within five minutes of first writing the above (2005) I received an email to an article from the BBC in which the following was mentioned. The fathers of Television, Radio and Telephone, Guglielmo Marconi, Alexander Graham Bell and John Logie Baird had also all shared an attraction to spiritualism. All three men became involved with spiritualist movements, where these strange forces were demonstrated through metaphysical phenomena. What is an example of a medium? I visited the ‘Little Light’ Spiritual Fair here in Noosa some time ago. Having been impressed by Psychic Medium Jason McDonald when I saw him work the platform at a similar Sydney event about ten years ago, I gladly slipped into the back row of the packed theater area to see him in action again. Tap here to read my own experience of Jason's mediumship in action. Do you have a medium's account of ghost hunting? How much is it for a medium? Well that is a bit like asking how long is a piece of string.  But I do recommend the following accurate psychic networks for online readings with real psychic mediums. New clients can take advantage of free intro minutes and discount offers. Regular paid readings run from $1 up to $10 per minute. I would be a bit sceptical of anyone charging higher than that. How can I learn to channel spirits? Channeling spirits is a form of psychic mediumship. Here are my tips on discovering and mastering these mystic arts. What is a medium in ghosts? Dawn Marshall shares her story of Practicing Mediumship on Ghost Hunts. "Mediumship sounds complicated doesn't it? How could a person begin to be a vessel to the world of spirit? The answer is very simple. Listen to your intuition. That's it! You will get incorrect messages and these come from ego (your mind). Then you will get subtle messages which aren't forced but gentle and these are intuition (spirit). To get these gentle messages you must be calm. Open your chakras with meditations. Most importantly breathe. Never forget to use grounding and cleansing techniques between readings. I offer Photo Readings, Astrology and Tarot at http://cateyesphotos.yolasite.com/"